Nike's Flyprint Running Shoe: Is It Really 3D Printed? Nike announced a new “3-D Printed” running shoe, but it seems a bit strange to me. The new shoe, released in time for the famous London Marathon, is made using their new “Flyprint” method. This is quite a competitive move, as their major nemesis, Adidas, has been 3D printing amazing midsoles using Carbon’s technology in recent months. Their system involves producing a highly complex variable lattice structure that provides great support yet weighs far less due to the sparse nature of the lattice. So what has Nike done in “3-D Printing” to catch up? 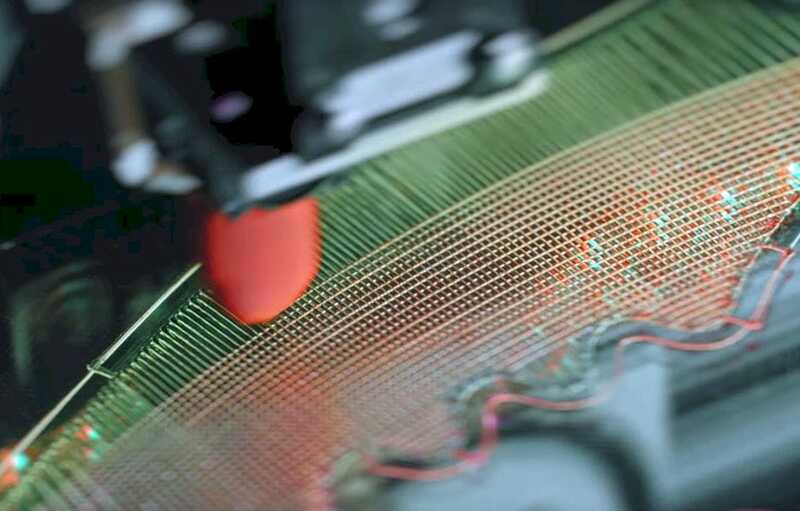 It is clearly a thermoplastic extrusion process, one commonly seen on desktop 3D printers. They say the material used is TPU, a flexible substance also commonly used by hobbyist 3D printer operators. But it’s also really just 2D. Nike explains their process takes as input some form of 3D data for the wearer, presumably a 3D foot scan. Then their software produces these 2D pieces that are woven into the upper for the shoe. 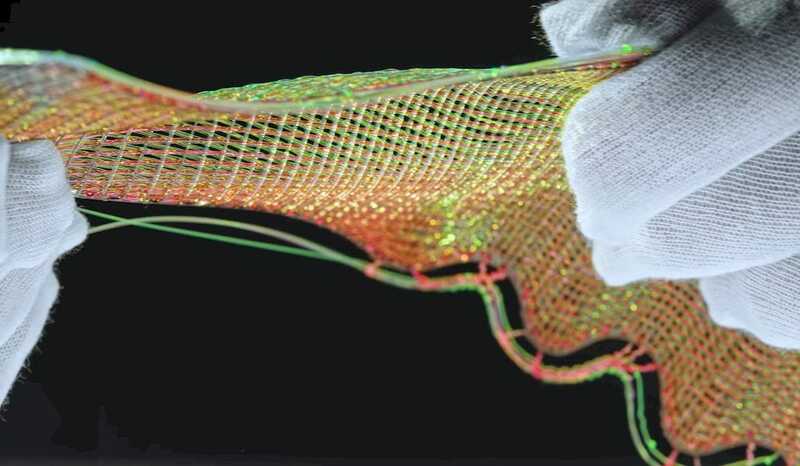 One interesting benefit of 3D textiles over traditional 2D fabrics is the increased dynamism made possible by adding an interconnection beyond a warp and weft; an advantage of Flyprint textiles comes in the fused nature of the material. For example, whereas in a knit or woven textile there is frictional resistance between the interlaced (warp and weft) yarns, in a printed textile, due to its fused intersections, there is greater potential for precision-tuned containment. It is also lighter and more breathable than Nike’s previously employed textiles. Ok, I think I understand. Maybe. 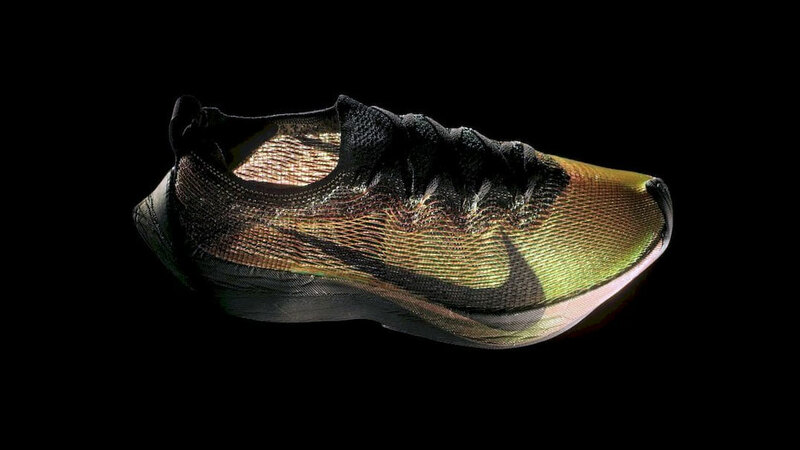 Nike seems to be 3D printing 2D sheets to make custom uppers for runners. I cannot imagine these vary significantly from person to person, and thus I also cannot imagine how this would provide a noticable benefit to the runner, aside from the cool color texture. What is Nike doing here? My opinion is that they are attempting to do a quick catchup to Adidas by doing “something” 3D printed. 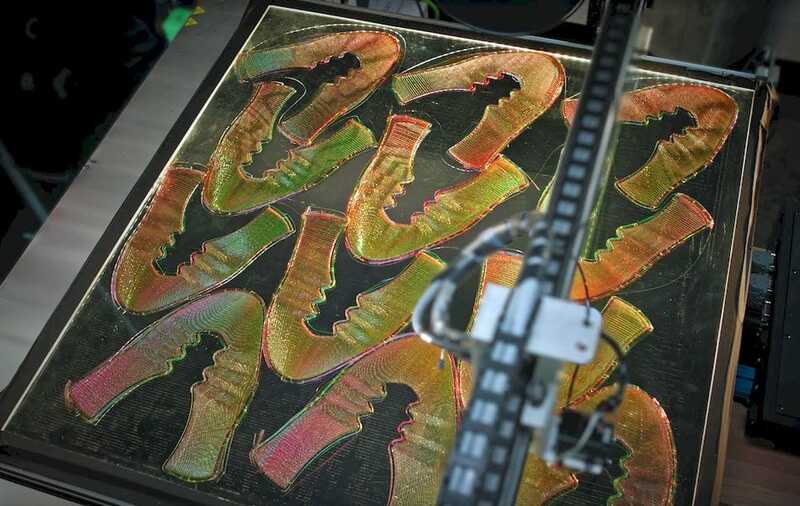 But this really isn’t 3D printed: it’s 2D sheets that are very clearly 2D printed. Well, perhaps because there are TWO whole layers, it might be considered 3D. If this is 3D printing, then it is perhaps one of the lamest applications of 3D printing I’ve yet seen. The advantages of the Flyprint technique seem quite limited as compared to the Adidas implementation, which provides notable lowering of shoe weight, and creatively leverages 3D printing tech. This seems to be a marketing exercise by Nike, one that no doubt will entrance many in the public.